Performers include: Rainn Wilson, Genevieve Angelson, Dennis Haysbert, Kristoffer Polaha, Page Kennedy, Beatrice Rosen, and Thomas Dekker. This offbeat crime procedural is based on the Swedish book series by Leif G. W. Persson. The series follows Detective Everett Backstrom (Rainn Wilson). He’s an unhealthy, offensive, irascible (also brilliant) detective who is brought back from exile to run the Portland Police Bureau’s Special Crimes Unit (SCU). Tasked with navigating the city’s most sensitive and serious cases, Backstrom must solve each crime as he tries, and fails, to change his own self-destructive behavior. Backstrom’s second in command is Detective Nicole Gravely (Genevieve Angelson). Detective John Almond (Dennis Haysbert) is a kind and devoutly religious man who’s been married for 30 years and serves as a pastor on weekends. Sergent Peter Niedermayer (Kristoffer Polaha) is the unit’s Forensics Liaison and Officer Frank Moto (Page Kennedy) is one of the members of the Special Crimes Unit. Foreign-born civilian Nadia Paquet (Beatrice Rosen) supports the detectives. Meanwhile, Gregory Valentine (Thomas Dekker) is Backstrom’s decorator and “underworld connection”. When a Native American is found dead under a bridge on the Wabacooche Indian reservation, Amy’s (guest Sarah Chalke) new boyfriend and Indian Reserve Police Captain, Jesse Rocha (guest Adam Beach), wants in on the case. Backstrom then learns that Indian meth-king Norwest (guest Gregory Cruz), of Cooch County, is a suspect in the case, and he is convinced his father, Cooch County Sheriff Blue Backstrom (guest Robert Forster), knows about Norwest’s drug dealings, leaving Backstrom to make a difficult decision. Meanwhile, in order to keep his job with the S.C.U., Backstrom must impress Dr. Deb (guest Rizwan Manji). First aired: April 30, 2015. What do you think? Do you like the Backstrom TV show? Do you think it should have been cancelled or renewed for a second season? 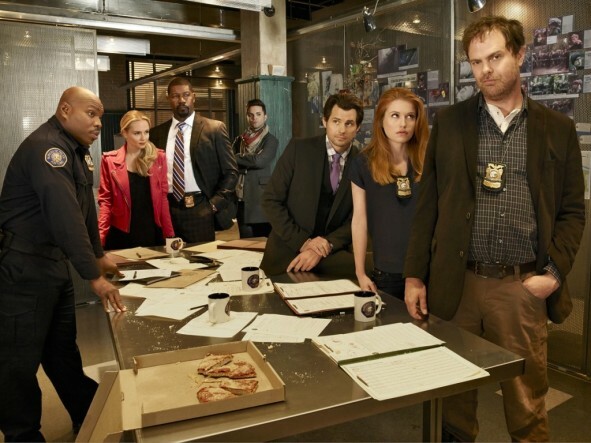 Backstrom: Cancel or Keep the New FOX Series? Loved the show. So much better than most of the deal on now. Please bring it back. We LOVED Backstrom Bring it back PLEASE!!! Please bring back Backstrom. One if the best show aired. It was funny, serious and exciting. Same thing Foy Harry’s Law which was on of the best shows since Boston Legal. These are great shows and don’t know why they were cancelled !?!?!! What is wrong with this network. Everyone I have spoken to loved these shows. Poor choice to cancelled. But Backstrom??? Why. Great characters and down to earth. Don’t get it. I hope they don’t screw up and cancel Leathal Weapon. But judging the last decisions made they probably will. Will be shocked if they don’t. It was a Great series! It must have been TOO POLITICALLY INCORRECT for the wussies at Fox to allow it to continue. Must not cause waves with the sissyfied powerful Liberal Elites who might complain. Gotta create them a safe space! I won’t watch any Fox news commentators, after their blatant lack of positive coverage of my candidate this election. Definitely renewed. This show was fantastic. Great cast and good script writers. Why do all the best shows get cancelled!!!!!! That’s four now!!!!! I loved this show. Was so disappointed when it was canceled.